Building Killamarsh Juniors Club 1921. See note below. Photo courtesy of V. Hopkinson. 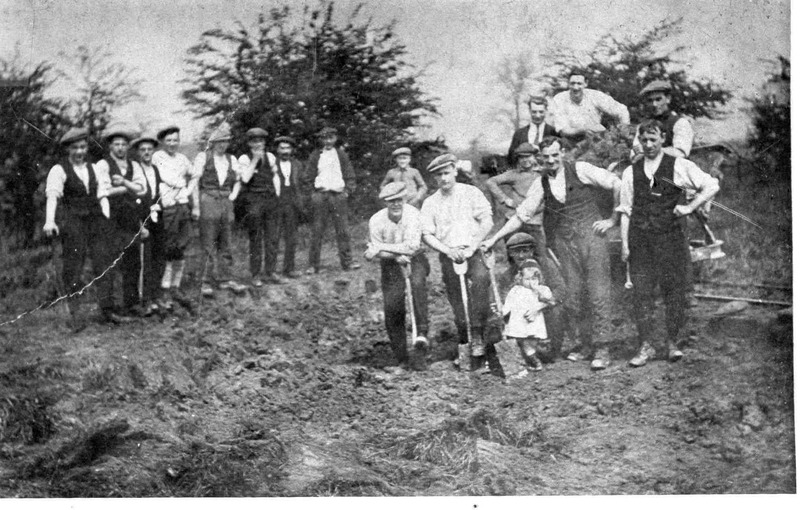 Digging out the foundations of Killamarsh Young Men’s Institute during the Coal Strike 1st April to 4th July 1921. Left to right: Back: ? ?, Frank Pillinger, Ernest Wilks, ??, ? ?, Cyril Jones, Charlie Trueman, ??. Middle: ??, ? ?, Arthur Louder, ??. Front: Tom Plant, Henry Mallinder, Arthur Milner, Harry Mills.